Weekends are synonymous to relaxation, and there's nothing better than a quick getaway that can help facilitate that. 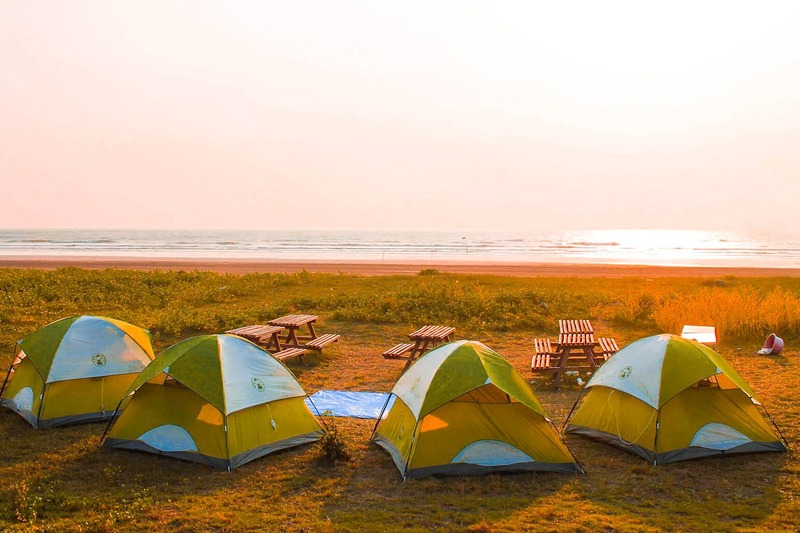 Hosted and managed by 'Get Set Camp', Paradise Beach Camping at Alibaug is just what you need- one night of fully planned camping with a bunch of some crazy activities and guaranteed fun for all. This beach camp is organized at Revdanda, a rather unexplored beach in Alibaug. It lies about 17 kms ahead of Alibaug and if you're hitting the tarmac, it will take you approximately three-and-a-half hours from Mumbai. However, we suggest you take the ferry from Gateway Of India to Mandwa jetty from where you can hop onto a bus to Alibaug. Revdanda beach is the perfect escape if you want to get away from the city's madness (sometimes it does drive you nuts). At this camp, you will lodge in a tent (with cushy mattresses). You can indulge in a game of beach volleyball, swing the frisbee or even engage in water sports (if you love the water). Don't feel like any of these? Don't worry, you can just soak in some sun and take a dip in clean water too. As the day passes by, the campsite will have a barbeque ready with a bonfire, followed by dinner. Some chatter, music and new friendship seem like the logical way forward. If you’re into star-gazing, this night is definitely going to be one that you remember for a long time give the open clear skies. And oh! breakfast on the following morning is on the house too. The campsite has safe and hygienic toilet facilities for you to use, and they also provide portable lamps for easy access. You will check in at 3PM and checking-out at 11AM the following morning. The price per head starts at INR 1,750 (if you book now, there is an active discount coupon on their website). The good guys at Get Set Camp organize camps on an everyday basis. P.S.- Don't forget to carry sports shoes, medicines, mosquito repellant, sunscreen, a spare set of clothes, and a power bank in case of emergency. If you only love your own music, don't forget to carry your playlist and portable speakers along with you. The Revdanda beach fort is walking distance and is a good sight for exploring. Korlai beach fort, which is about a 20-minute drive from the campsite is strongly recommended for a wholesome view of all the adjacent beaches.